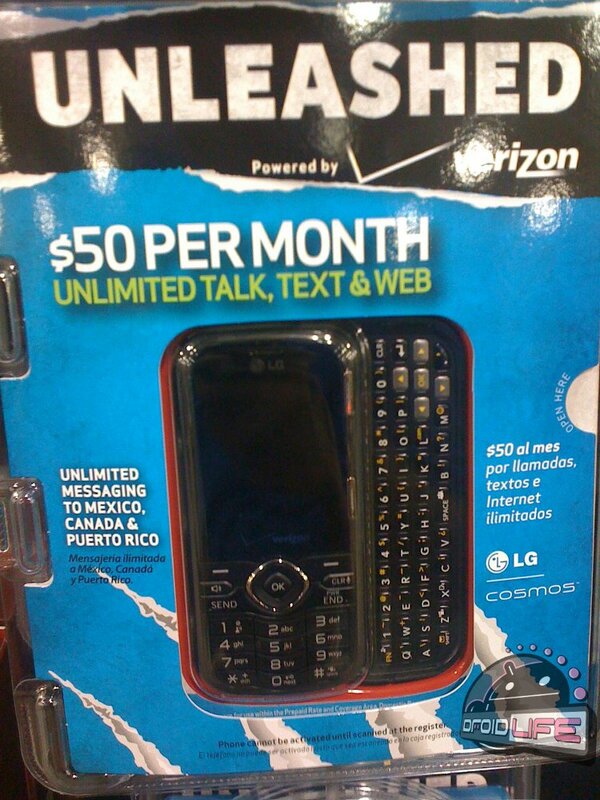 A couple of weeks ago, we first reported news of a $50 unlimited everything month-to-month (prepaid) plan from Verizon called Unleashed that we were dying to hear more on. Well, it looks like the plan definitely exists and is already being promoted on prepaid phone packaging, so now we just hope that they allow some decent smartphones to gobble up this deal. We still haven’t had official word out of Verizon’s camp on its existence, but that doesn’t mean we won’t see it any day now. Update: We’re hearing that the Unleashed plan launches 4/28 and will only be available in southern California and Florida.